Volcanic Experiences organise small group tours across the world offering the chance to see some of the most spectacular sights nature has to offer. 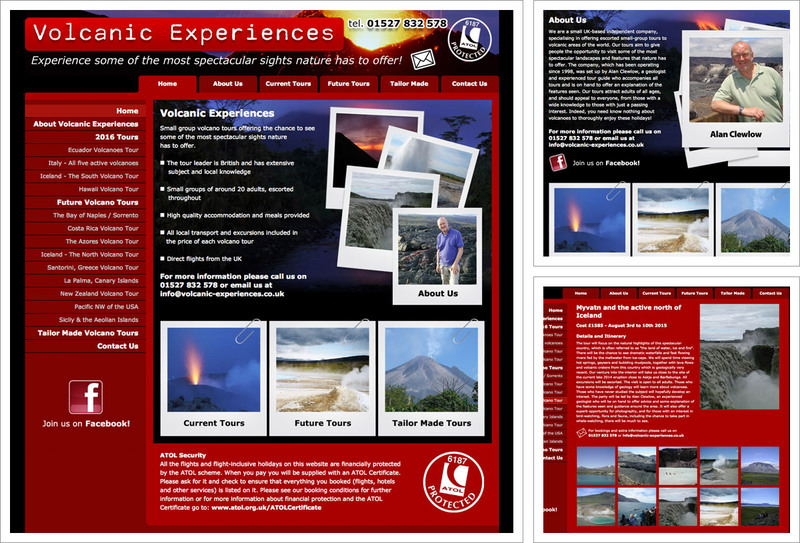 They were looking for a re-vamp of their existing website and their new website displays multiple images for each tour along with detailed tour itineraries. Each image opens to a larger image so it can be fully appreciated. Homepage, About us and Online Contact Form. Logo, branding and custom graphics all designed by Pedleyonline.